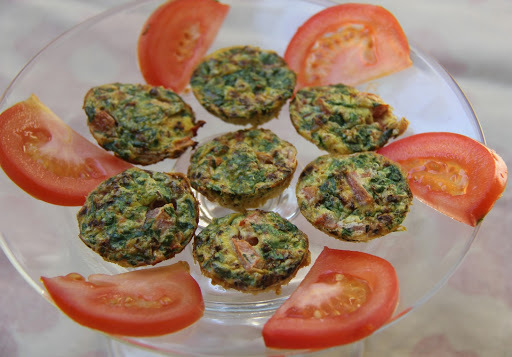 Egg muffins can be made with pretty much any vegetable.Here I have used tomatoes,onions and spinach.You can also use bell peppers,mushrooms,broccoli,cheese to make these. 1.Preheat oven to 350 degrees. 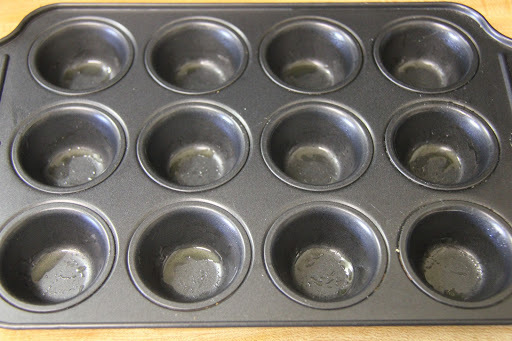 Spray a 12 count mini muffin pan with oil. 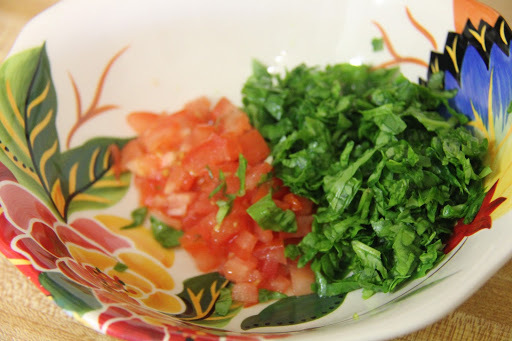 2.Take the onion, tomatoes and spinach in a bowl. 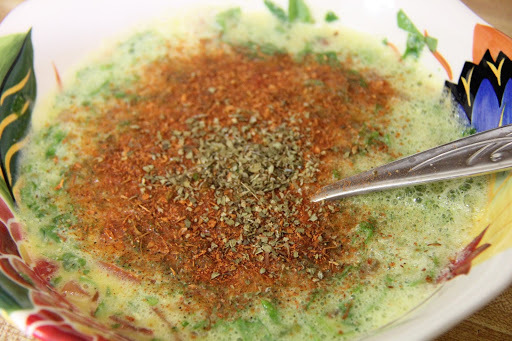 3.Whisk eggs, salt,oregano and cajun seasoning into the bowl. 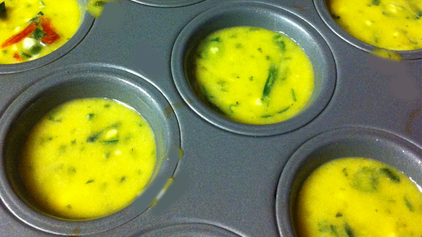 4.Pour mixture into mini muffin pan, filling each cup about 3/4 full because the eggs rise as they cook. 5. Bake egg muffins 9-11 minutes, or until set. Allow to cool for a few minutes and with a spoon scoop out from the muffin pan.